This year’s GCSE results were a reward for all of the hard work put in by students and staff alike as they continue to transform, grow and develop themselves into the young leaders of tomorrow. There were many notable achievements amongst the group with 5 students in particular achieving an incredible 10 A*-A or more, the highest of these was Nabil Choudhury with 12 A*-A. Overall Swanlea achieved 62% A*-C (inc Eng & Maths) with its Progress 8 grade being 0.38. The significance of the ‘Progress 8’ must not be understated; this figure represents the progress that Swanlea’s students achieve compared with schools across the country. So the grade of 0.55 indicates that overall, Swanlea students achieved over half a grade better than the national average. This is an incredible effort as it is evidence that through the years that a student attends Swanlea, they grow and develop academically, achieving higher grades as they progress through. 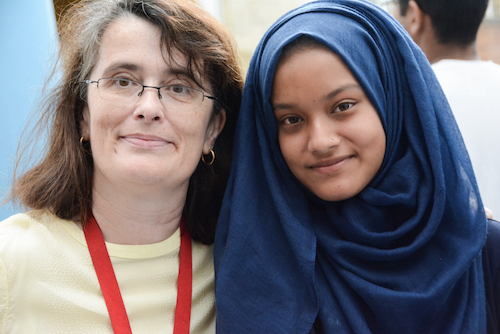 This growth in progress is perfectly exemplified by year 10 student Ms. Tuli Nurun Nahar. Arriving in England only 2 years ago with no English skills at all, in the short time that she has been here, Tuli has worked incredibly hard to not only learn a new language, but excel academically in all of her subjects. Tuli is a true testament to what the Swanlea work ethic can achieve. Taking 3 early entry GCSE subjects, she was able to achieve an A* for Italian, an A for Religious Education and a B for Geography. Tuli’s dedication is further evidenced by her 100% attendance and punctuality record. 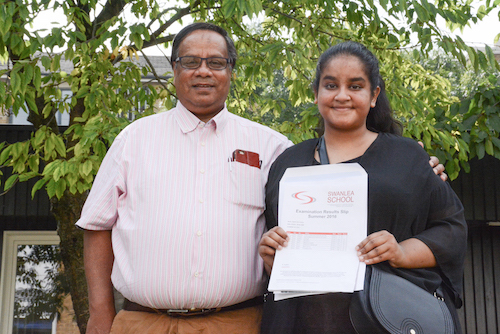 She regularly attends all of the extra study sessions that are held and constantly works to improve herself; Tuli is an excellent example of the Swanlea ethos.